Kuni Automotive, headquartered in Vancouver since 2003, has been a member of the Columbia Tech Center community since 2012. 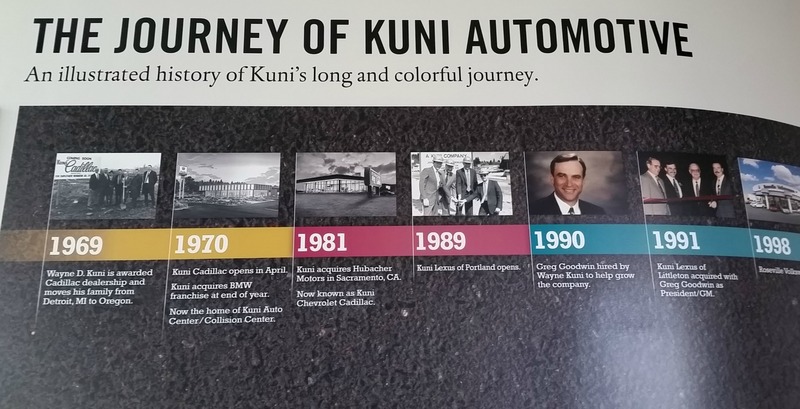 This month we had the opportunity to sit down with Kuni Automotive CEO, Greg Goodwin, to discuss the effects of a recent buyout, what a future with driverless cars might look like, and community efforts of Kuni employees and The Kuni Foundation in Vancouver. Kuni Automotive has 15 luxury car dealerships across Washington, Oregon, California and Colorado including a new one in Kansas. Why continue to maintain your headquarters in Vancouver? What do you love about Vancouver? 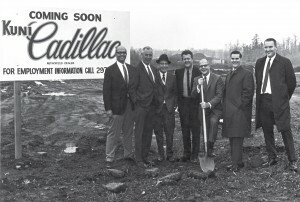 Wayne Kuni opened the first dealership in Beaverton, Oregon in 1970. We moved the office to Vancouver in 2003 because it has so many advantages. Mr. Kuni, who died in 2006, was making plans to donate his shares of the company to a charitable foundation, so he was very mindful of being tax efficient with respect to the foundation. The cost of housing, at least at that time, was an advantage over Portland. The schools here are great and we really liked the proximity to downtown Portland. Plus, the Tech Center is so close to the airport. I fly a great deal, and there is no better airport in the country than the Portland airport. How did you connect with Mr. Kuni and Kuni Automotive? In 1990, I was managing a dealership in Oahu, but my wife, Michelle, and I were looking to move back to the mainland. I was introduced to Wayne through a good friend of mine and we set up a meeting in January of 1990 while we were visiting Portland. My family had plans to go to the zoo during the meeting but, as it was cold and rainy, we all went to the dealership. I figured the meeting would be less than half an hour but, of course, when we got there Wayne invited all of us up to his office. We were there for nearly two hours; we just hit it off. We ended up buying a Lexus dealership together in November of that year and it is still an important part of our company. I think Wayne was impressed because our three boys sat in his office for two hours and didn’t create chaos. So, it is my wife and my sons who are entirely responsible for my career! 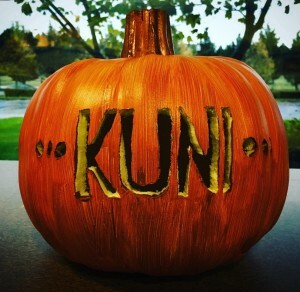 What does the Kuni brand mean to you? Wayne Kuni liked cars and I like cars, but this is a business all about people. It is all about serving people. Kuni stands for being family friendly with employees, providing real career opportunities, and doing business with integrity with our customers, manufacturing partners and the community. 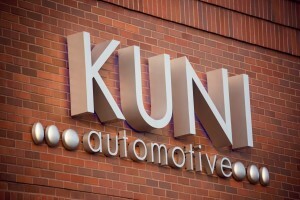 A lot of employees in the company tell me they would not be in the car business if they couldn’t work at Kuni. That is better than a big paycheck. That is better than a nice balance in your bank account. Kuni is different than what you see in a lot of other auto retail companies and I think we’ve gotten there because of an intentional focus. Holman Automotive, based in New Jersey, recently acquired Kuni Automotive. How will the Holman buy-out affect operations? I wasn’t willing to consider a buyer or partner for Kuni Automotive who didn’t see value in what we’ve done here. We’ve invested a lot of money, and we’ve hired some great people here in Vancouver to help us become more efficient in our operations and more consistent in building a strong brand. When Holman saw what we’ve done here, they fell in love with our team and what we’ve accomplished in our dealerships throughout our networks. 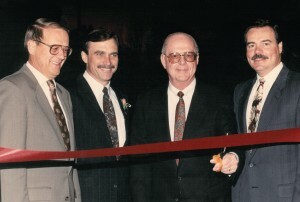 Holman is a family-first, family-owned company and has been in business 92 years. They had almost 5,000 employees and now there are 6,300 with Kuni. They approached this entire enterprise with integrity and so it has been a very satisfying experience. How do you see the future of driverless cars changing the industry? It is going to happen and it will be significant specifically for commuters in large metropolitan areas. Driver-controlled cars will be the majority of the marketplace for decades to come, but autonomous vehicles and ridesharing are compelling developments in our transportation system. These mobility improvements will be a challenge to the current transportation model which we are all used to. I think the auto manufacturers understand this change is about safety first so I think it will be widely available when it is safe, as it should be. This is one of the things I like about Holman. They have significant investment in technology and are well positioned for how this business is going to change in the next 20 years. 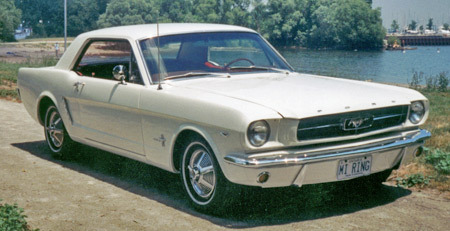 What is the first car you ever owned? 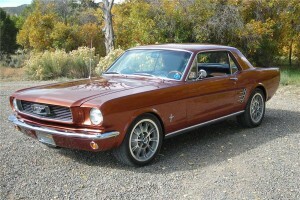 It was a copper colored 1965 Mustang. It wasn’t a collector car then, but it was still pretty nice. What is the most exciting car you have ever driven? What really revs your engine? I think the Lexus LS 460 luxury sedan is one of the finest and premium luxury sedans in the world but right now I am driving a BMW X5 SAV (Sport Activity Vehicle) and it is amazing. I love technology, which is what I am known for probably more than cars, and this new X5 has something called Apple CarPlay. When you get in the car, the touch screen dash becomes your iPhone home screen. I can access my podcasts, audio books, and maps, which is amazing. We are getting to the point where cars have that connectivity that all of us want. 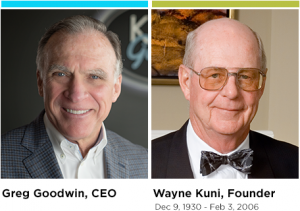 The Kuni Foundation was founded by Wayne and Joan Kuni in 2005. What is the focus of the foundation? The foundation has two missions. One is to support housing and other programs to enhance the lives of developmentally disabled adults and individuals on the autism spectrum. 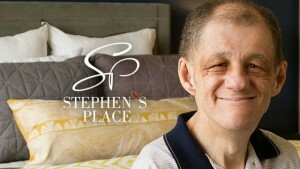 The biggest investment the foundation has made in that mission is Stephen’s Place in Vancouver. It has capacity to house up to 41 developmentally disabled adults, and the entire facility was paid for by the Kuni family and the Kuni Foundation. The second mission of the Kuni Foundation is cancer research. The foundation has made a number of donations to cancer institutions in the Northwest including the final gift of the Knight Cancer Challenge; it was also the largest gift to come from Clark County. The transaction with Holman will allow us more opportunities, financially, to expand the foundation’s mission in these two causes. Kuni Automotive does a lot of outreach in the community. Why is that so important to you and your employees? 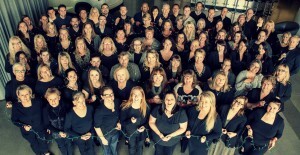 A lot of people at Kuni have a strong connection to the company because of our work in the community. Beyond the Foundation, there is a big commitment on the part of a lot of people here to support organizations that support others. The Big Brothers Big Sisters’ “Beyond School Walls” program is one I would recommend to anyone in the Tech Center neighborhood. Kids come to the office and we have the opportunity to hang out and give back to them. It has been a really engaging and fun activity here. Many times the school bus will show up at the same time as a board meeting or while we have an important group visiting, and it just energizes the place. I would recommend that program to any business in the Tech Center. Wouldn’t it be something if we could all get together to host a bunch of kids? Tools for Schools is another program we are involved with and Lexus of Portland does a lot for that. So far, we have donated more than 10,000 back packs to kids. Why have you stayed in the Kuni family for nearly 26 years? When I got in the car business in 1978, the cast of characters looked like the people that you might see at a Trump rally today. As I became more interested in the business, what was aspirational to me was to change that – to get more women involved in the business and to really focus on the customer experience. When I met Wayne Kuni, I knew I wanted to be in business with him because his focus was on doing the right thing. That statement up there on the wall about taking care of employees; that was one of the first things Wayne Kuni ever said to me as we were walking around his dealership in Beaverton. He said, “If we take care of our employees, they will take care of our customers and that will take care the bottom line.” And he really meant it. This entry was posted in Featured Tenant, News and tagged Columbia Tech Center, Featured Tenant, Kuni Automotive, Vancouver, Washington, What's Happening. Bookmark the permalink.